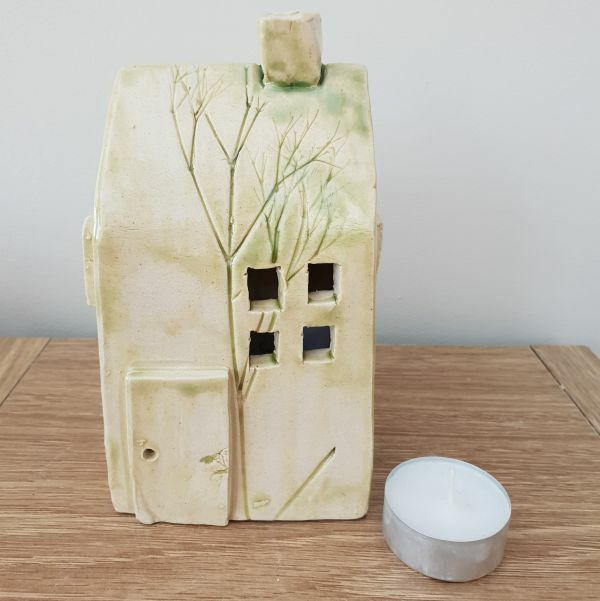 This quirky ceramic house is made from stoneware clay, measuring approx 9cm wide x 9cm deep x 15cm high. 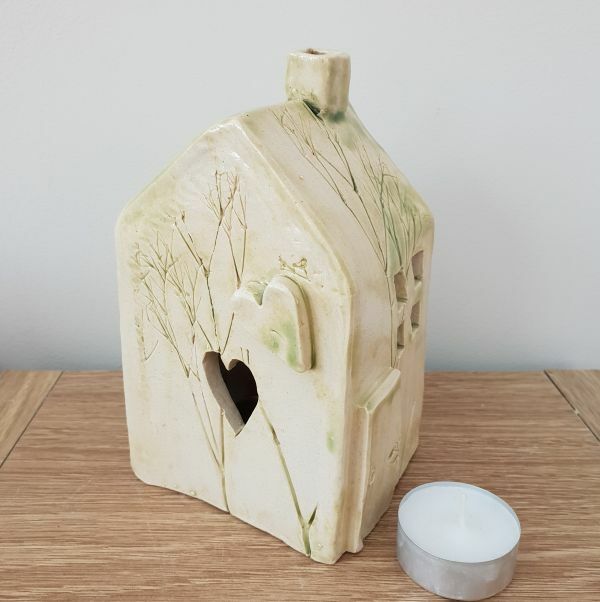 The house is hollow with various windows cut out, making it perfect to sit a tea light candle inside for light to shine out through the holes, creating pretty patterns of lights on surrounding walls with a warm glow. 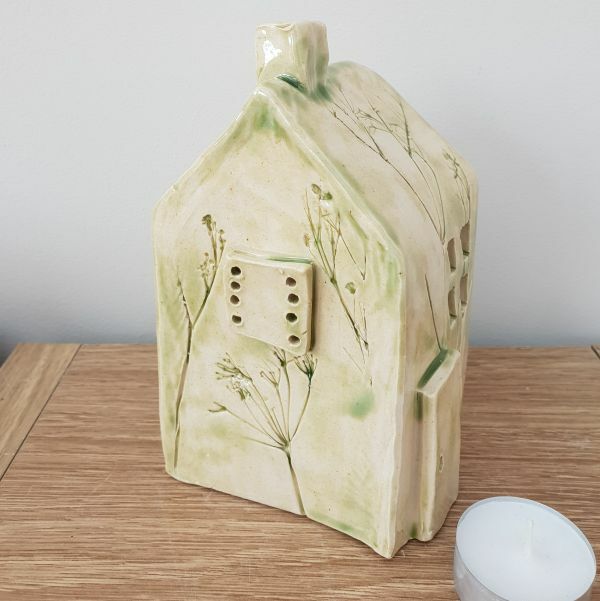 The clay body is very durable and therefore this house is suitable for outdoor display in the garden, as well as inside the home. Each side of the cottage has different characteristics so the position of it can be changed to view a different angle is required. Impressed vines are growing up and around the side of the house, from real plant impressions. 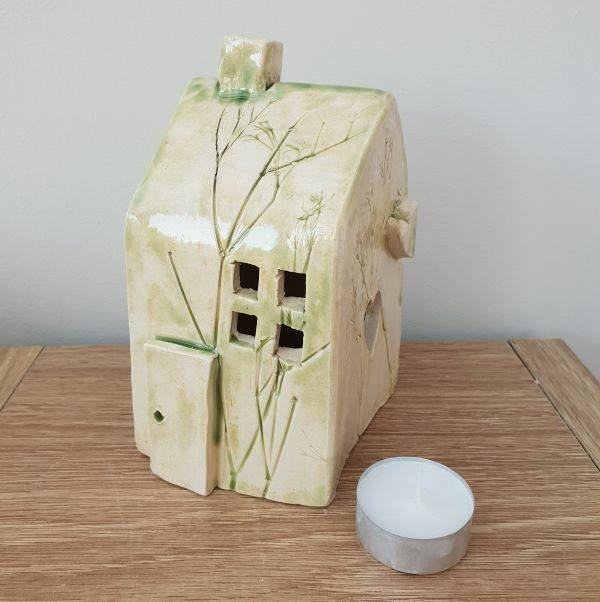 This ceramic tea light house is completely unique, handmade by me in my studio – no two pieces are ever the same. The item you will receive is the exact house pictured.